Mike Behmer has blossomed since he started Lifesharing with the Brewer family in 2009. Lifesharing is when a person with a disability lives with supportive persons who form a caring household and who share life experiences. “He had only known institutions and group homes for most of his life,” said Debbie Brewer of Koppel, PA, north of Pittsburgh. “He has very few good memories of his early life.” Debbie and Mike met at a group home where she worked and he lived as an adult. After Mike began living with the Brewers, “I started seeing a self-confidence I had never seen before. We were surprised,” she said. Mike works two jobs, placing a pizza shop’s notices on doors and doing housekeeping at a nursing home. He also volunteers at a historic home. Steve has many goals for the future. Steve is a person who likes to work, and one of his goals is to get along with his fellow coworkers. 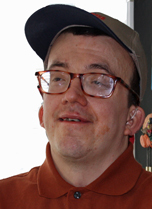 Another one of Steve’s goals is to live independently in a shared apartment or house. He is also hoping to meet someone special to settle down and raise a family with. Three years ago April began to realize her dream of being an artist. 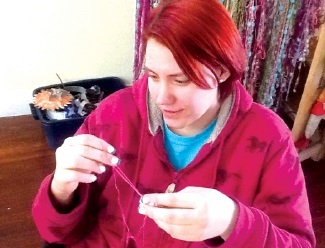 At an art studio, April immediately excelled with creating and designing. She enjoys combining her passion for art with her love of helping others. She is learning, creating, and expressing herself through her art, and recently became employed as an arts enrichment aide at the studio. She works four hours per week. She still has studio time for herself, which is important to her. April also shares her love and passion for animals by volunteering time at area shelters. 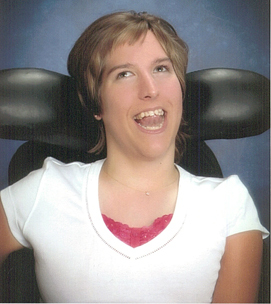 April excels in basketball and track and is actively involved in Special Olympics. If you live in Philadelphia and have visited a Home Depot store within the past decade, chances are you have met Pamela. Since 1998, Pam has been employed full-time as a store associate. She takes pride in her job and enjoys working within the community and has established a strong network of co-workers and friends who support her personally and professionally. Over the years, she has taken on new leadership roles and has received numerous employee of the month awards and gifts in recognition of her hard work. Outside of work, Pam lives in a Lifesharing family. She likes spending time with her Lifesharing family member Melva, eating at new restaurants and visiting local shops. People who know Pam say she is friendly, humorous, and a loved woman who likes being on the go. She gets along with everyone and always sees the best in people. Austin chooses not to let his disability define him. Through the power of an Agency with Choice program, Austin hires his sister, Tiffany, to be his support. This has proved to be a win-win situation for all involved. Austin gets the precise level of support he needs from someone who knows him intimately, and Tiffany has the satisfaction of helping her brother out while being gainfully employed. And Mom? Well, she’s thrilled by the entire arrangement. People who know Elysia would say that she is a prankster who likes to joke around and is an overall wonderful young lady with a very bright future. Since high school, Elysia has held a job at a local Walmart, doing janitorial work and whatever else is asked of her. The organization A Home of My Own helped Elysia obtain supports and services to help move outside of her family’s home. Elysia immediately knew what she wanted in an apartment. Staff worked with Elysia and showed her different apartments in Allegheny County, but only one place truly was a great fit. Now 21 years old, Elysia has many social interests beyond work and school. In her spare time, she helps young aspiring musicians, songwriters, and singers develop their musical abilities in a community program. Elysia enjoys writing poetry, and is getting help to coordinate her poetry into music. Alina and her support person, Debbie, “grew up” together. Alina was 11 when Debbie came into our lives; she is now 23. Although I am part of a divorced couple, we share Debbie, who supports Alina at both of our homes. Who would have thought that for the past 12 years, Debbie would remain our constant, our sanity, best friend, and trusted supporter. She is our lifeline, the reason we can go to work knowing our daughter is loved and supported every day. Relationships change over time; that’s part of an everyday life. Alina and Debbie’s did. Initially, Debbie and Alina worked on after-school activities that developed skills while taking into consideration how tired Alina was from school. Alina needs total support and an understanding of her gestures, motions, and sounds to be happy, healthy, and safe. We taught Debbie to “notice what you notice” and, when in doubt, to talk to Alina and let her know what she didn’t understand. Some days, they would just hang out on the sofa, with Debbie reading to Alina. They went out to restaurants, parks, museums, movies; anything they decided to do that day. When Alina was in the hospital, Debbie came to see her on her own time. They have a relationship built on love, and love is what Debbie gets back from Alina and us. Health changes over time, too. Debbie is no longer physically able to care for Alina. We’ve explained to Alina in a way you would tell anyone, and we’ve taken her to the hospital several times to visit Debbie. We especially miss the interactions she and Alina once had, but we still keep in contact. A new chapter of our lives has begun. Debbie’s daughter, Jaime, now supports Alina. We are grateful for the everyday life we continue to share with Debbie and her family. Twenty-two years ago, my husband Jose and I came here from Puerto Rico. We have a daughter and a son, Naomi (20) and Justin (14). After Naomi was born, the doctors told us that the best place for her would be an institution. This was not the life we wanted for our daughter. We wanted her to live at home with parents who love her. Through the years, Naomi’s needs have changed, but the severity of her condition (she needs medical care and round-the-clock supervision) has not. In spite of that, we take her everywhere. We buy the things she loves, like CDs and magazines. She loves to stay at hotels and go in the pool. We’ve traveled to Puerto Rico to visit with family. We work hard as a family so she can have a life filled with the same opportunities that everyone has. When Justin was 2, I realized something was different. He did not act like other children his age. He was diagnosed with autism. We were already supporting a daughter with severe disabilities, and Justin’s diagnosis was heartbreaking. He has come a long way. He is a wonderful young man who goes to school, loves computer games, and works hard to achieve success. Like other parents, we are worried about their futures. We want to stay together as a family for as long as we can. Our deep, abiding love keeps the four of us bound together. Our life is a labor of love, one that is full of challenges, but by far many more blessings. Michael is a lifelong resident of Philadelphia. He is a graduate of a public high school and a four-year university’s post-secondary education program. 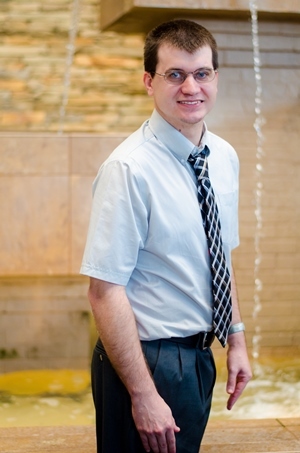 During his two years as a university student, Michael took undergraduate academic courses and completed an internship working with the university’s police department monitoring activities throughout the main campus. Michael was the first recipient of the annual Spirit of Pride award, distinguishing him as a well-rounded student excelling in his academic and career development pursuits. Michael says he loves a challenge because it shows what he can do with his abilities. While attending school, he took an acting class, which is where he gained an interest in performing. Michael made his professional acting debut April 2016 in the Philadelphia play, “A Fierce Kind of Love,” which depicts the Pennsylvania disability rights movement. When not performing, Michael works as an office assistant at Temple University. He enjoys relaxing at home and watching Netflix with his fiancée, Charlene. Their wedding is planned for October 2016. My husband and I have five children, and our youngest are five-year-old identical twins, Susan and Meredith. All five have attended the same private preschool, and all five will attend our local public school. This sounds like any family story, except that our twin girls have Down syndrome. When we received the prenatal diagnosis, we were overwhelmed by all of the ways we were told that our girls would be different from other children. They are different, but we have learned that they are so much like our other kids and our neighbors’ kids and all other kids. We choose to focus on the similarities, and have pushed to involve our girls in the same experiences their siblings have had in our community. What was important for Rory, Michael, and John is just as important for Susan and Meredith. We have been supported by the teachers in our preschool and therapists in working through the differences. Having our girls in the local preschool has taught their classmates about differences, the teachers about different learning styles, and families about including kids with all abilities in a meaningful and fun way. We live our life as a family, not just as “that family” with the twins with Down syndrome. T’s story is about a man with an intellectual disability, neurodevelopmental disability, and a mental health disorder that challenged the thinking of his supporters about how things should be done. His story is also a reminder that diagnosis should not overshadow the individual needs of the person or the person’s strengths and abilities. This 20-minute video provides an overview of Lifesharing. Lifesharing (also known as Family Living) is a service available in Pennsylvania in which an individual with intellectual disability (ID) chooses to share a home and his or her life with another person or family to form a caring environment. 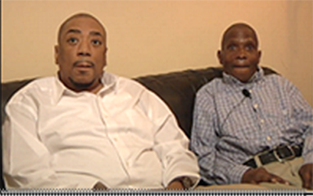 The video tells the story from the points of view of three Pennsylvania families, the individuals who live with them, and an individual’s aging parent. The video also presents Patty McCool, ODP Director of Bureau of Supports for People with ID, and Stephanie Brown, a PA Lifesharing Coalition member. Watch the video about Lifesharing. . .
Congratulations on Celebrating Nine Years, Dennis! Dennis and co-workers celebrate his nine years on the job. (Article reprinted with permission from the Pike County Dispatch (1/8/2015 issue) Read Article about Dennis . . .
Watch the video about Dennis . . .
Dennis hosts a pizza party for friends and co-workers in his new home. Read about the event. Larry started his path to a work career at VIA of Lehigh Valley, Inc. in a sheltered workshop setting and is now working in the community at a job he enjoys. 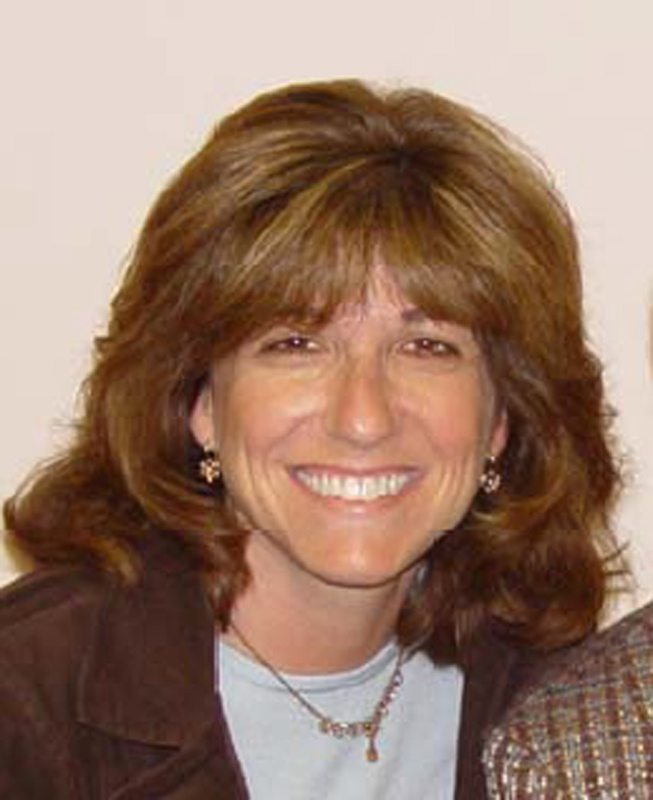 Cheryl is an Employment Coordinator at VIA of Lehigh Valley, Inc. and is part of Larry’s support team. In his own words Larry shared how the transition to community employment happened for him. Read the complete Employment – How it Happened for Me story . The College of Direct Support is a national, web-based curriculum for people who support women and men with developmental disabilities. Read More about the College of Direct Support . . .